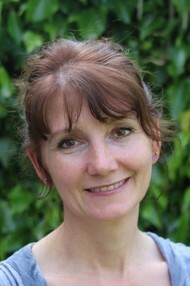 Hello, my name is Lisa, I’m a qualified counsellor based in Knutsford, Cheshire. We have all faced times in our lives where we have encountered struggles, felt overwhelmed and maybe experiencing problems such as anxiety, depression, relationship issues or losing sense of who we are. You may have support from people around you and gain comfort from this, although sometimes what you may want to talk about may not be simply shared. This is when a talking to a professional counsellor may help to explore coping strategies and offers an opportunity to be able to work together towards the results you may desire. I have a calm presence, am warm and approachable and offer a safe space where you can talk about whatever you feel you want to explore and work through. I use a variety of different techniques as I believe everyone and their circumstances are unique requiring a personal and honest approach. I offer daytime, evening and weekend sessions, and work with Adults, Couples, Relationships, Young Adults and Older Children. Please feel free to contact me to see how we can work together on whatever is happening in your life. Just taking that one small step to help yourself takes courage and I am here to listen and work with you at this particular moment in your life.